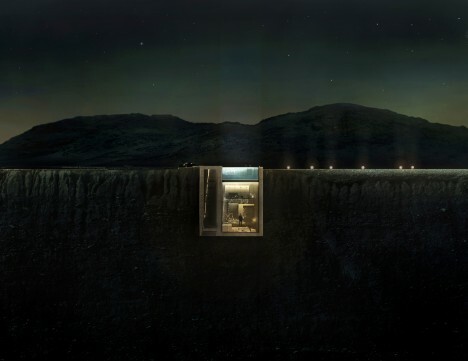 File this dramatic cliff-hanging, swimming-pool-topped home called Casa Brutale under ‘fit for a villain in every possible way.’ Practically begging to be used as a base for unsavory characters in a film, this concrete residence set into the craggy hills overlooking the Aegean Sea is surprisingly modest and spare, free of flashy luxuries. 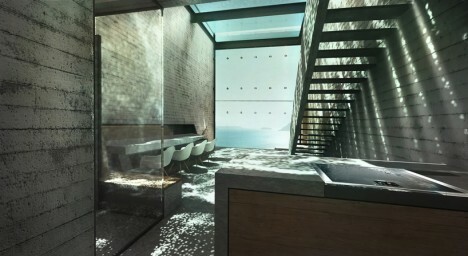 It doesn’t need to show off, really, when its very existence in this location packs such a powerful visual impact. 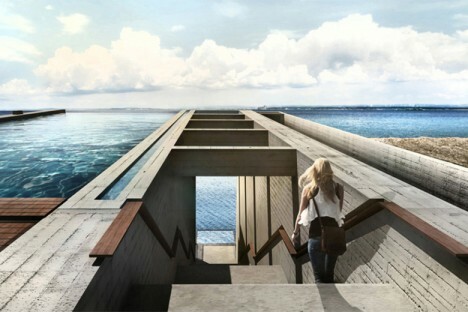 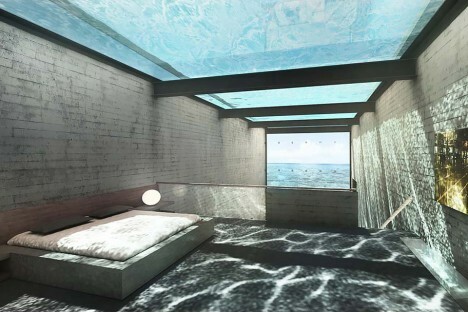 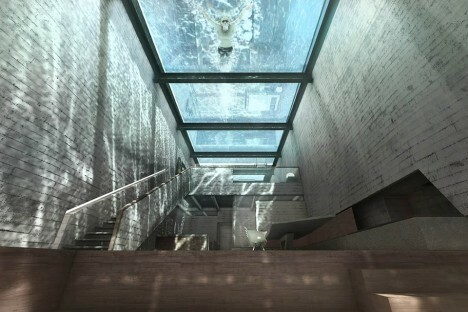 You enter the home from a stairway on the ground level, descending into an interior that’s shielded from the sky only by the glass-bottomed swimming pool. 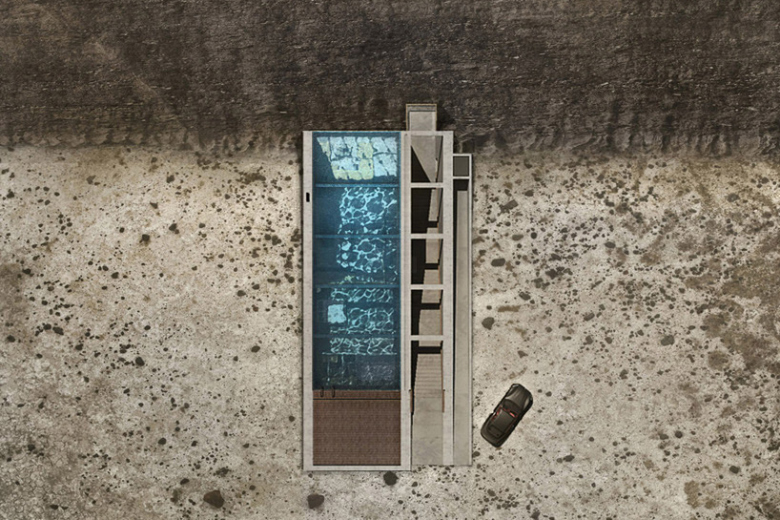 Anyone who swims in the pool is instantly turned into entertainment for the people watching from below, and the watery reflections cast over every surface are the main defining characteristic of the simple, open interior spaces. 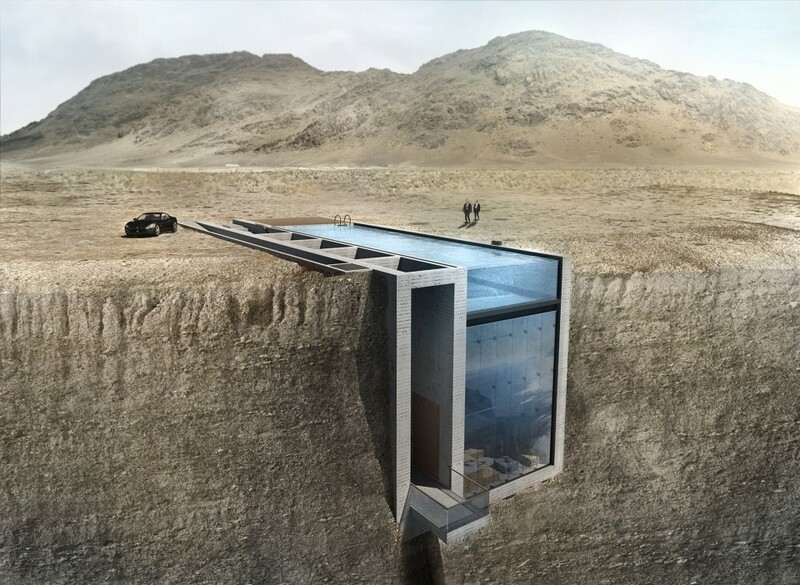 The entire cliff-facing facade is also made of glass further opens the home to the shimmer of water, this time from the sea. 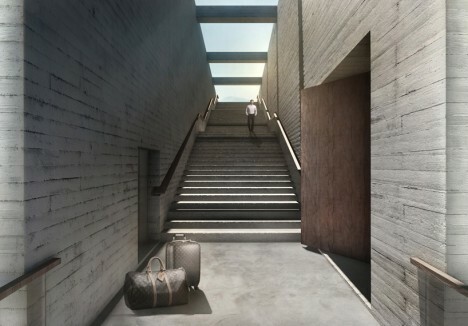 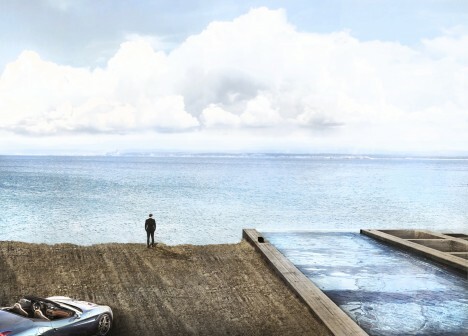 OPA (Open Platform for Architecture) clearly heard the cries of ‘James Bond villain lair’ when their initial drawings were released, so they’ve worked a nod or two into the new renderings, including a requisite Ferrari.